The TM-T88VI is a state-of-the-art receipt printer, offering fast print speeds and high reliability, with advanced features to support the coexistence of traditional PC POS with the web and tablet POS services. Ideal for retailers and hospitality businesses looking to tap into the benefits of web and tablet POS services while maintaining compatibility with existing applications, the TM-T88VI offers an ideal solution for customer-facing businesses of all sizes, and some of the most advanced features on the market. 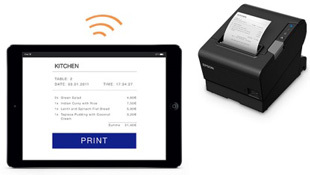 The TM-T88VI can print receipts directly from the web, tablets, smartphones and other mobile devices using XML commands, and offers internal storage for database and web content uploads. It coexists with traditional PC-based applications, and works on several platforms so it's simple to integrate with your existing network. All models come with Ethernet connectivity, with optional Bluetooth and Wi-Fi connectivity available. The TM-T88VI offers advanced paper-saving functions, allowing you to reduce wastage by up to 49% without affecting legibility. 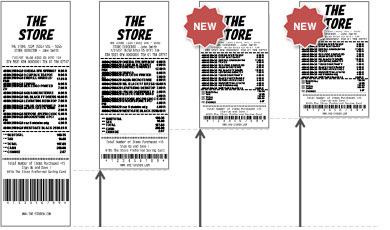 These optional features include white space removal, barcode and character height reduction. The TM-T88VI prints your logo on the next receipt before cutting the one before it, and has backward paper feeding, to ensure maximum paper usage. The TM-T88VI offers a variety of tools for configuration, operation, installation support and development, as well as TM-Utility for easy set-up. SDKs are available for software developers to create native apps for Android, iOS and Windows devices or web applications.